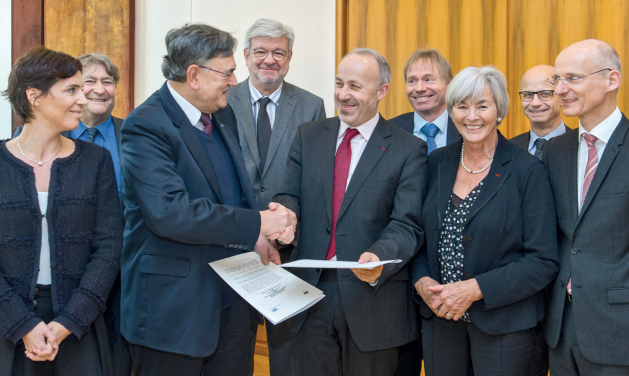 The German-French Academy for the Industry of the Future is a strategic vehicle to promote close collaboration between leading European research institutions and industrial companies. It was founded by the French Institut Mines-Télécom (IMT) and the German Technical University of Munich (TUM). Focused on joint research, education and innovation, the Academy’s mission is to master the challenges accompanying the increasing digitalization of industry processes. Addressing the key emerging research topics raised by the cross-disciplinary area that represents the Industry of the Future. Providing new and innovative forms of cooperation in higher education and research. Developing a joint portfolio of binational innovative tools for industrial companies. The Academy was inspired by IMT and TUM’s shared vision of excellence in research, education and innovation across Europe. 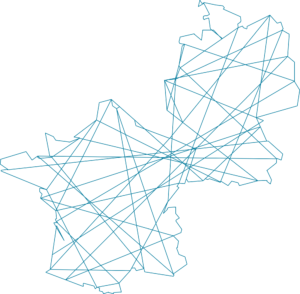 Reaching beyond IMT and TUM, this European backbone is now looking to network with other academic and industrial partners in both countries. The Academy serves as a platform for high-level science and teaching communities, paving the way for joint research projects focused on Industry 4.0. It also promotes close collaboration with partners in industry, especially with companies that have strong collaborative ties between Germany and France. After the conference held by President Emmanuel Macron and Chancellor Angela Merkel, the idea of the Academy was created. As initial partners, the higher education, research and technology institutions Institut Mines-Télécom (IMT) and Technische Universität München (TUM) have founded the Academy. Since its foundation, the Academy kicked-off with many activities like presentations at tech conventions, building new cooperations, organizing Summer Schools and launching new research projects. Soon, the Academy will be extended to other academic and industrial partners of both countries. The digitalization of economy is about opportunities, disruptions, and risks. It calls for trespassing new technological frontiers, addressing new skills, and imagining new pathways. TUM and IMT face these challenges by jumpstarting a broader academic effort. Building the Industry of the Future is also about crafting the University of the Future.